Just like many of you, I am being constantly watched by my three labs. It is impossible to put on my shoes or bathing suit without a stampede of well intentioned dogs crashing into me. When I head towards the kitchen, the dogs race ahead to man their respective battle stations. Last weekend things were a little wild. 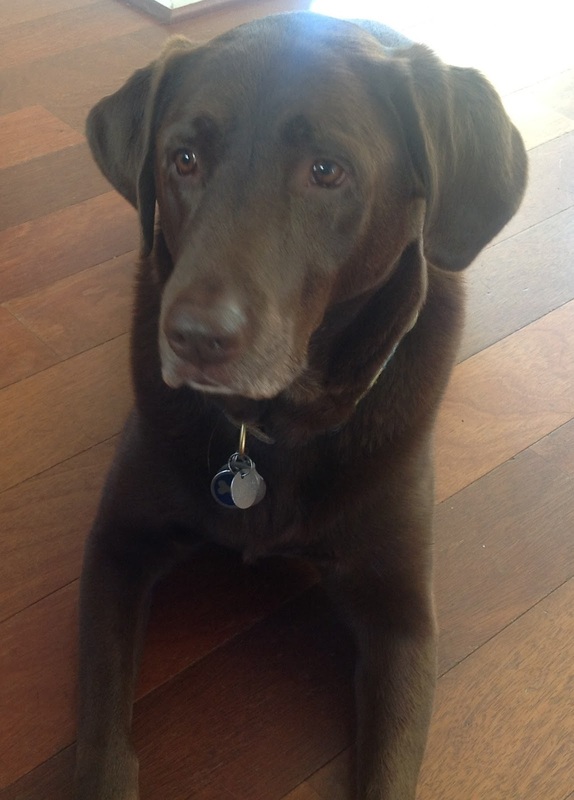 Layla, our black lab celebrated her fifth birthday. 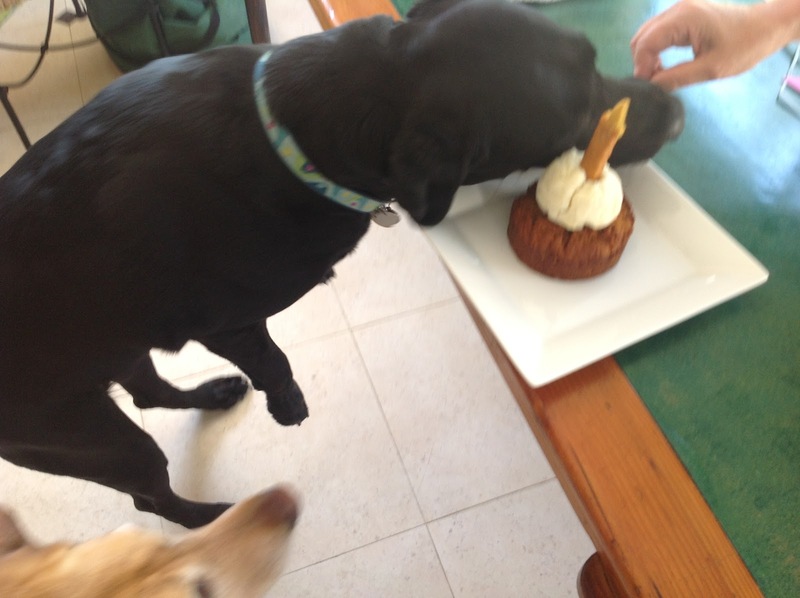 The smell of the peanut butter-carrot birthday cake and our Sweet Dog edible birthday candles baking drove the dogs crazy. 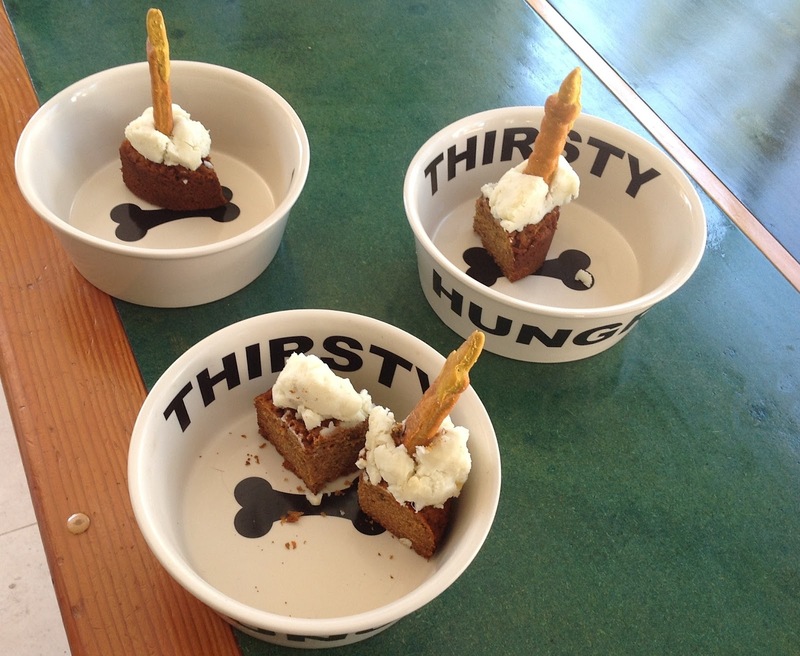 I doubled this recipe to get three dense 5" dog birthday cakes. To keep things simple, I used organic ingredients that were available at my local grocery store (conveniently located next to the Starbucks). Mix together the flour and soda and mix into wet ingredients. Bake in greased pan or springform mold. Bake 350 degrees for 30 minutes. 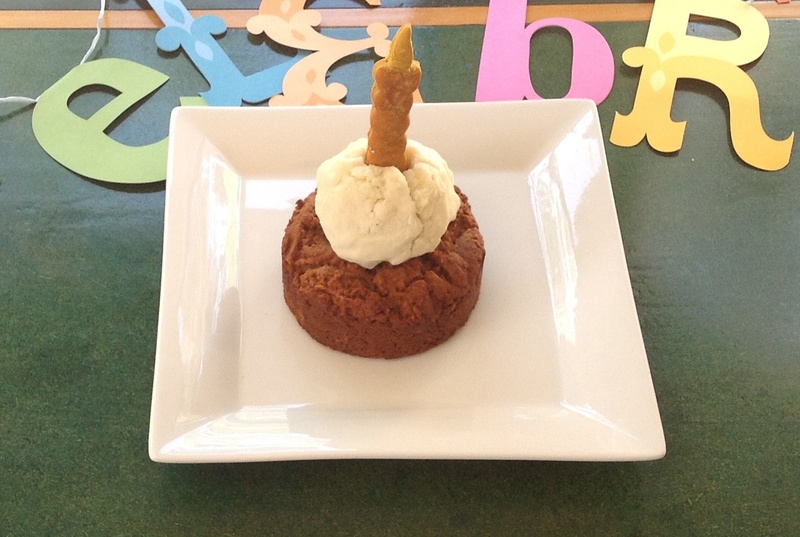 I topped the cooled cake with a ball of mashed potatoes and added the edible candle. 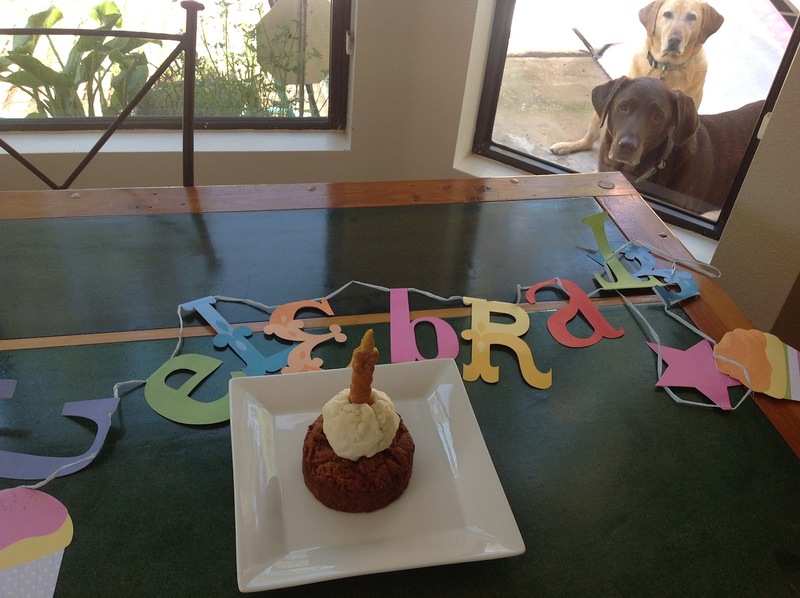 While the cake was simple, the dog were taking some of the fun out of the party prep. While Reggie was grabbing the spatula and Layla was laying directly on my feet, Ella waited patiently for something to drop on the floor. Finally, "OUT" was heard across the neighborhood. The cakes were assembled sans dogs. 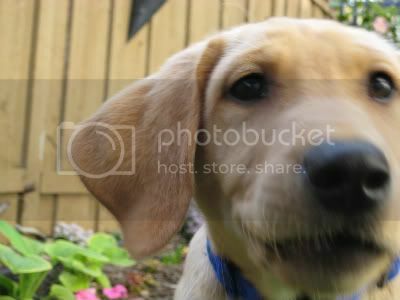 ..with plenty for all the dogs.